The Wrangell Mountains, in winter, Wrangell - St. Elias National Park, Alaska. The Wrangell Mountains, in winter, Wrangell – St. Elias National Park, Alaska. The Wrangell Mountains, including Mt. Drum, Mt. Sanford, Mt. Zanetti and Mt. 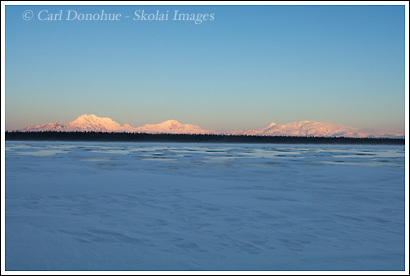 Wrangell, from Willow Lake, frozen and ice-covered, in winter, Wrangell – St. Elias National Park, Alaska.